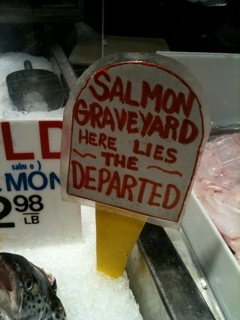 DEATH WARMED OVER Provides Halloween Food Customs To Absolutely Die For! 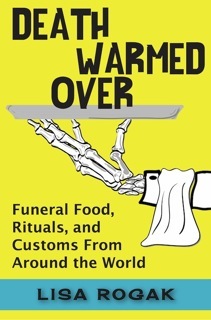 Death Warmed Over: Funeral Food, Rituals, and Customs From Around the World is a new e-book that teams up two subjects that fascinate almost everyone: food and death. Filled with historical background and recipes for 75 different funeral ceremonies around the world, Death Warmed Over also serves up a nice helping of insight into the customs of each culture from the Irish to the Amish, the ancient Etruscans to the modern-day Hmong. When Death Warmed Over was first released in 2004 it became an instant cult classic that Publishers Weekly called “amusingly informative.” While a few dishes — like the bearded seal flipper prepared by grieving Eskimos — might not be everyone’s cup of, er, blubber, most are slightly less exotic. Who can resist a cookbook that not only offers a recipe for the perfect chocolate cake, but also details the correct Ghanaian method for pouring water down a dying man’s throat to ensure he will travel well to the afterlife? The author, Lisa Rogak has written a number of other books including a New York Times bestseller and a Stephen King biography that was nominated for an Edgar. Her resume includes selling vintage funeral equipment as well as driving a number of hearses — for pleasure — through the years.